Eleventh Avenue Open Studios is an exciting event to showcase the work of its resident artists; Corinne Lewis, Terri Miles, Suzanne Hutton (Rednile Projects), Jonathan Lloyd West, Chris Kell, and Mark Lloyd (Swallows Foundation UK). The studio will also be hosting an exhibition, including works for sale, by regional artists, designers & makers. The event aims to highlight the artistic talent in the area, promoting Gateshead as a thriving creative hub. It also offers a unique opportunity to support networking between the businesses located on the Team Valley, encouraging innovative partnerships between artists and professional service providers. This will be an opportunity to learn more about this unique Gateshead based initiative, purchase unique artworks and visit the artists’ workspace that will be open to the public throughout the weekend. There will be live music and refreshments during the opening night and artists will be available all weekend to chat to visitors about their work. Visitors can also take part in family friendly activities, offering them a chance to get creative and take home their own unique artwork. Free admission and open to the whole family! 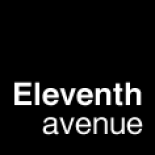 Eleventh Avenue Studio is supported by East Street Arts and their national temporary artists workspace programme. An event happening at Eleventh Avenue Studio this weekend.